Medical dermatology: The dermatologist diagnoses, treats and helps to prevent the diseases that can affect the skin, hair, and nails. Surgical dermatology: The dermatologist treats the diseases that affect the skin, hair, and nails through surgical procedures, such as the removal of skin cancer. Cosmetic dermatology: The dermatologist uses treatments to improve the appearance of the skin, hair, and nails. Cosmetic dermatology is just that: cosmetic. It's not an essential component of maintaining good health. It encompasses procedures such as injecting fillers for a more youthful appearance, chemical peels, hair transplants and laser surgery to diminish the appearance of scars, wrinkles, varicose veins, etc. Dermatopathology: The dermatologist specializes in dermatology and pathology. He or she examines samples of the skin, hair, and nails to diagnose and treat diseases. Like most careers in the medical field, becoming a dermatologist requires a significant amount of education. An aspiring dermatologist must earn a bachelor's degree and attend medical school, after which he or she will become a medical doctor (M.D.) or a doctor of osteopathic medicine (D.O.). Then he or she will participate in an internship and at least three years of training in a residency program. All dermatologists receive training in medical dermatology, cosmetic dermatology, surgical dermatology, and dermatopathology. Many dermatologists also choose to participate in additional training in order to gain expertise in more specific areas of dermatology, such as pediatrics, surgery or cosmetics, and some may choose to open up their own practices where they treat patients will all kinds of skin concerns. The term "board-certified dermatologist" appears often, but what does it denote? Becoming a board-certified dermatologist requires a bit more education. In addition to completing a bachelor's degree, medical school, an internship and a residency program, a dermatologist can become board-certified by obtaining a license to practice medicine or by passing exams by the American Board of Dermatology, the American Osteopathic Association, or the Royal College of Physicians and Surgeons of Canada. But the "board-certified" title doesn't last a lifetime. A board-certified dermatologist must retake board exams every 10 years in order to keep the title. It's vital that a dermatologist—whether board-certified or not—keep up with industry advances by continuing their education through attending advanced courses and by reading trade publications and highly regarded journals like the Journal of the American Academy of Dermatology. 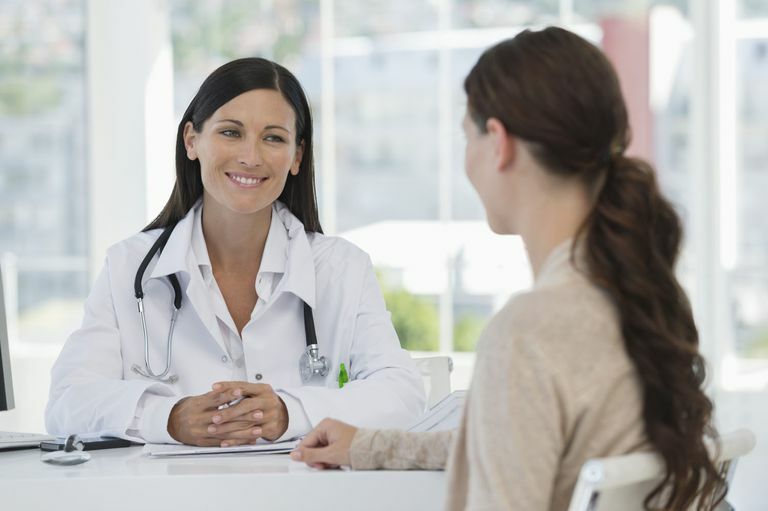 Patients are often referred to a dermatologist through their primary care physician. However, there are two instances when you can bypass a visit to your family doctor and schedule an appointment with a dermatologist: if you find a lesion that you suspect could be skin cancer or if you have risk factors that increase your likelihood of developing skin cancer. It's also recommended that you visit a dermatologist once a year for a complete skin examination that will check for skin cancer. In addition to asking your family doctor for a referral to a dermatologist, you can also find a dermatologist near you by using the American Academy of Dermatology's online database. Simply plug in your zip code and a list of dermatologists and their contact information will be provided. American Academy of Dermatology. "Why See a Board-Certified Dermatologist." aad.org.